As Webati, online marketing is the bread and butter of the business we conduct. Here, we embrace all forms of online marketing with open arms. The majority of all forms of online marketing are going to be effective in promoting your business; however, a business owner should have all forms of promotion at his or her’s fingertips, and this includes tools that are considered a bit more old school, like flyers. Over the course of my time with Webati, I have encountered my fair share of clients who are not thrilled with the idea of using online marketing techniques to promote their business. This is where the custom flyer design services of Webati can be of assistance. Flyers are tools that almost anyone can understand. 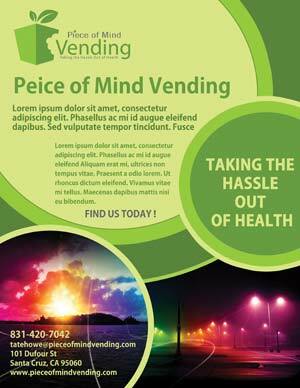 Custom flyer design can be invaluable to your business. A flyer should feature an attention grabbing headline, a simple breakdown that includes why a client needs your business’s services, and a call to action. Most people, regardless of age, know flyers and are familiar with them. It is a tried and true marketing method that can reach certain subsets of the population that would not normally be reached through online marketing, like the elderly. Unfortunately, I have seen too many clients who have poorly designed flyers. These flyers do not do anything to promote their business’s services, and both the message and the design are weak. When you walk into a client’s office, you will enjoy an increased amount of self confidence knowing that you have attractive, professional custom flyer design from Webati. Clients can sometimes be compared to wild animals in the fact that they can sense fear and weakness. If they sense that you are lacking in self confidence, they will lose confidence in you. The first step in maintaining your self confidence and creating a memorable and positive first impression on a potential client is to engage the custom flyer design services of Webati. You are encouraged to contact us today, via email or telephone, in order to schedule an in depth interview and consultation. This consultation is 100% free, and you are under no obligation to engage our services. However, once you see what you have to offer, we are certain you will want to work with us. Check out what our custom flyer services can do for you today!